Communicating effectively in an intimate relationship requires clarity, the right context to draw from and the right intent. Contrary to common belief, communication is not as much about having a point of view as relating to each other, sharing information and understanding the other person’s perspective. Two people can interpret the same situation very differently. Your well of experiences colors your views and determines your outlook. Communicating to understand each other allows you to build your collective realities together, as a couple, while deepening intimacy and strengthening your bond. Clarity: Are you sharing something about yourself so that the other person can get to know you better? It could be sharing a story about your childhood or something that happened to you today that reminded you of your dad, for instance. Let’s say you ate lobster for lunch. The meal might have taken you back to the first time you ate a lobster during a family vacation in Maine when you initially thought lobsters were this misshapen object. Your dad might have taught you how to strategically crack open the claws. You miss your dad. Or are you communicating to share what’s on your mind and, perhaps, bounce an idea? For example, you’re not sure what you should do about your friend for whom you care deeply but whose emotional needs are sapping your energy. Or are you communicating simply as a way of connecting and deepening your relationship? For example, sharing an aspect of your day at work and trading stories may be a way of connecting with your partner. Understanding the context from which your partner is drawing: The experiences we draw from and, as a result, the conclusions we make, will often dictate our response and, ultimately, our actions. In order to understand what your partner is communicating, you have to understand his experiences and what shaped them. This practice may sound complex but it’s quite simple. You don’t have to be a shrink to uncover the truth. All you need is to ask follow-up questions to learn more about your mate. Intent: Intent always matters. Have you ever asked someone a question with an interest in confirming your judgement? Meaning, you were not asking for clarity but really asking to accuse? I’m guilty of this as much as the next person. Our intent should be to build a stronger connection with our partner that comes from a place of love. When you come from a place of love, your tone, body language, your willingness to listen attentively all factor in automatically. What happens then? You have thoughtful conversations that strengthen your relationship. Communicating effectively requires the right intent. It’s not about who is right or who is wrong – zero sum game – or who has the last say. Often, you have to let go of being right to do what works, even if you are right. Read that again. Keep in mind that you’re in a relationship with someone whose relationship constructs (internal wiring) is different from your own. Understanding must precede advice: Women and men tend to communicate differently. Women feel an emotional connection when we express our feelings. However, men tend to have a solutions oriented approach of, “how can I fix this problem?” Although he means well, his advice will go unheard if he doesn’t first show compassion. Feeling understood is as simple as repeating back what your mate said or “mirroring” back. For example, saying “Gosh, I’m sorry you had to go through that with your boss. It sounds like you had a tough day at work.” Period. Not “next time, you should do x, y, z.” Even better, when you follow-up with, “I’m sorry you had a tough day at work. What can I do to make it better?” We’re not looking for a fix. We’re looking for understanding. This practice is even more important during arguments when no one feels heard. You see, you have to build a bridge in order to get to the other side together (the resolution). By the way, disagreements are a healthy and normal part of your relationship. In fact, I worry for couples who say they never disagree or fight. If you never disagree, then I wonder how honest you’re being about who you are and what you really need. Assumptions: As a relationship coach, often, I see small disagreements escalating into big fights because we make assumptions instead of asking for what we need. We tend to make up in our head the answer to what we don’t know. Don’t make assumptions or believe, “he should know this by now.” Whether you’ve been together for 30 days or 3,000 days, don’t assume that he can read your mind; he can’t. Having open, trusting and honest conversation requires asking for what you need. When I don’t feel heard, the question I like to ask is this: “please help me to understand what I’m not seeing” or “please help me to see what I’m not understanding.” It’s a game changer. - Is what I’m saying true? - Is what I’m saying honest? - Is what I’m saying helpful or hurtful? At the end of the day, the years you may spend with that someone special boils down to the culmination of daily, mundane interactions. It’s the small emotional bids that, over time, will make or break your relationship, really. Be intentional and deliberate about strengthening your connection and creating deeper intimacy. P.S. Share this with anyone who welcomes a fresh perspective and a strategic approach to dating successfully. P.P.S. Working with a coach is one of the best investments you’ll make. 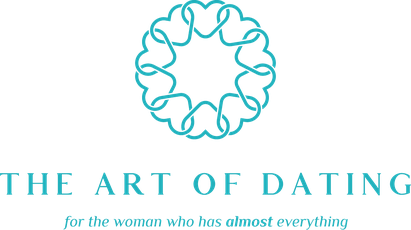 For more information, contact eunice@artofdatingnyc.com.